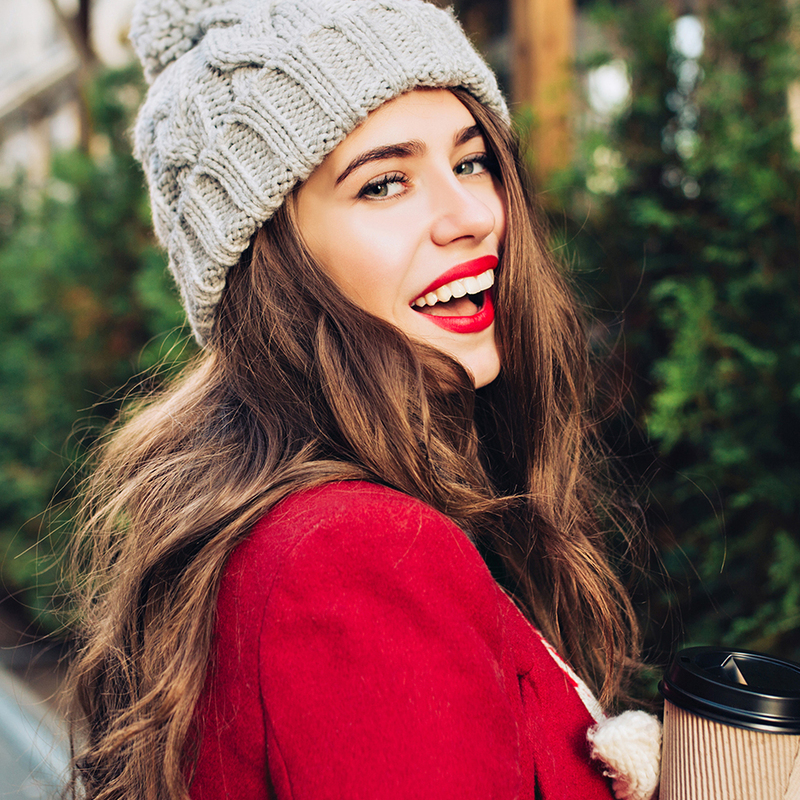 Winter months require more nourishment for your hair, period. You should be treating your hair to a deep condition once a week. This will help replace moisture which is lost due to cold air and dry heat. If you tend to have greasy roots, concentrate on conditioning just the tips. You can even use some as a styling product to help dull dry hair look shinny instantly. Our Royal Cream conditioner will help lock that moisture in! Shampoo can strip away moisture from your hair so cutting back on how often you wash your hair will help keep those strands from drying out. If you have greasy roots and tend to shower every day, try an alternative like dry shampoo or powder to absorb the grease, or wear a hat and try to leave it for two to three days before washing it. You can also try our Normalizing Shampoo, its unique formula gently cleanses, moisturizes and restores the hair’s natural pH. Hot water not only dries out your skin but your strands too. Turn the temperature down in your shower, lukewarm or cool water is best. You can also close up the hair cuticles by hitting your hair with cold water at the end of the shower. Your hair is at its weakest when wet. This means you should be extra careful when brushing, drying, and styling your hair. Using a soft towel when you get out of the shower to remove any excess water and a wide-toothed comb to brush out your stands when wet will help protect it from breakage. Try to limit your use of hair dryers and heated appliances. I know that it can be really hard to not straighten out those bumps with your straightener every morning, but resist the urge to do it every day. If you can’t avoid them all together, use low heat and avoid the ends. One effective way of keeping your hair healthy all year round is getting a regular trim every 6-8 weeks. This is extra important in the winter months. Getting rid of the dry ends helps with hair growth and helps give natural curls an extra bounce! A humidifier can benefit not only your hair but your dry skin too! Using a humidifier is a win win all around in the winter months.